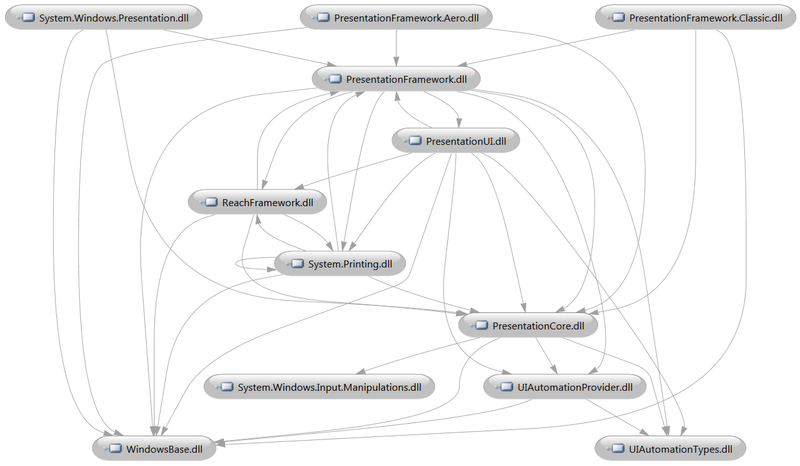 The diagram belows shows the dependencies between the main WPF DLLs. (Click on the image to see it full-sized). PresentationCore.dll – Lower level types for visual rendering like UIElement. Also DragDrop support.